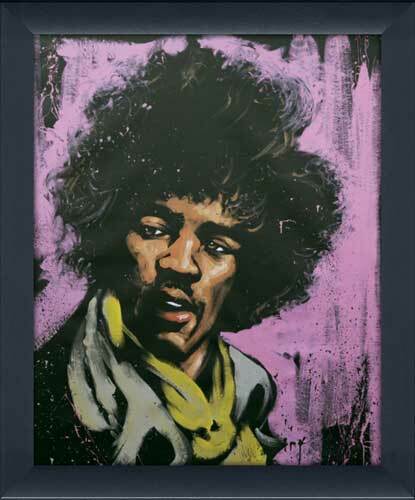 This fine framed artwork by David Garibaldi depicting Jimi Hendrix has a faux canvas treatment, recreating the original canvas look. It is finished in 1.75" black contemporary frame. The size dimensions for each picture are the OUTSIDE DIMENSIONS. (The frame is included). I received my Lorraine Christie yesterday and I can't believe how beautiful it turned out. Sherri really helped me to choose the right frame! What great service and the packaging for such a large picture was very well done. Thanks FramedCanvasArt, I will definitely be back. If we had a dollar for every time we heard this question, we could feed a small country! The answer is easy: Option a) one single very large piece. b) 3 matching squares or c) 2 large rectangular matching pieces with one piece cut in half and placed on either side of the rectangle. 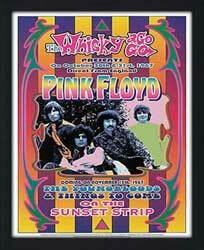 See our Framed Art Sets to get an idea of this (and this option is my personal favorite! ).